Hand cut, printed & collaged by yours truly in downtown Los Angeles. This print is an open edition and is available in a variety of color ways. Contact Gregory Lind Gallery for details. 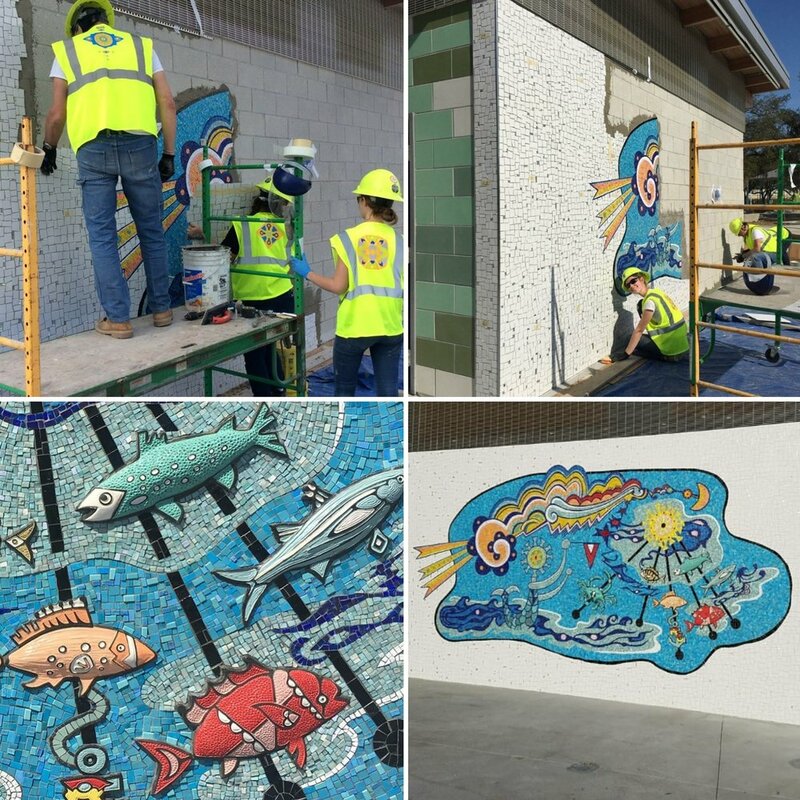 Tiles for the West Tampa Promenade are in production! Traditional cement tiles are hand made one by one. The team is finally nearing production of enough of them to cover about 4,000 sq. ft. May the install deities be safely and swiftly on our side and may the promenading soon commence! The West Tampa Promenade project is being commissioned through the City of Tampa, FL for the Julian B. Lane Riverfront Park.